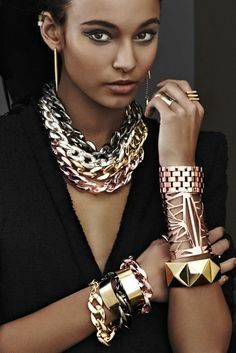 Paying enough attention to the fashion circle and entertainment circle, it’s not difficult for you to find out the most popular fashion rules of jewelry are oversized and multilevel all over the world, especially in India. As I am very keen on the wedding jewelry of India, I will always glance over some picture about it by magazines, blog, and so on. After a couple of days, I discovered that majority of Indian women love wearing the jewelry which is oversized or multilevel no matter what occasion they are in. In addition, this phenomenon is not just turn up in India, including the Europe and America area, China and so on. With the availability of such a wide variety of fashion jewelry pieces, we get an endless option to change our looks. In my opinion, the Preferences vary from person to person, so I have no idea that what kind of jewelry you like most. 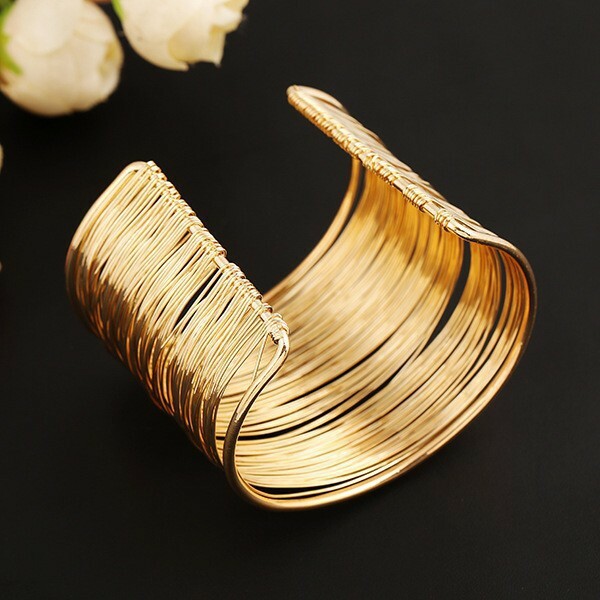 But for me, I will choose the multilayer wide cuff bracelet to add charm for my look. You know why? As I think bracelet is easier for me to put on or take off. On the other hand, it can be perfect for my every outfit in summer and I needn’t to buy so much jewelry for each dressing as it’s enough with it. So if you are looking for any of these pieces in the market, then searching for them on the internet is the best thing to do these days. 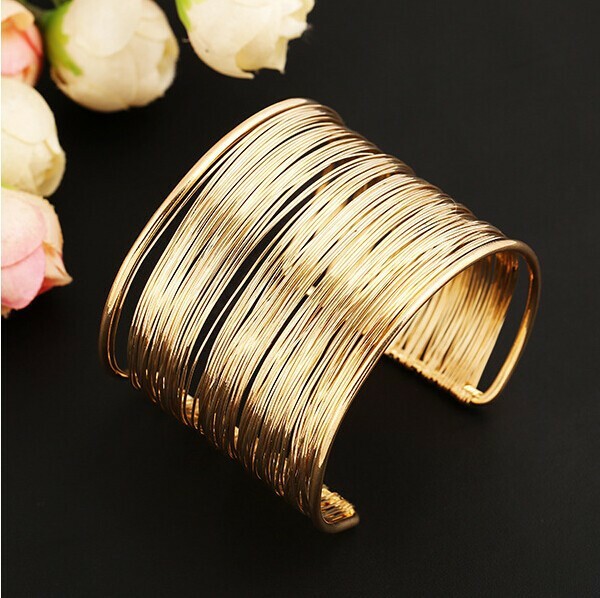 There are various websites on the internet that offer a wide variety of fashion jewelry items in a variety of patterns. If you are not willing to spend too much money, then you can search for the online jewelry stores of wholesale fashion jewelry which is at reasonable prices. So start searching for the best one for yourself and add an attractive appeal to your personality with this kind of jewelry. hello, i love your site especially your articles on pearls and what they may say if they are a certain size. can you contact me thanks.